Sometimes dog owners don’t take the necessary precautions to keep their dog from biting or attacking someone. Animals can be unpredictable sometimes and unfortunately, they aren’t always controllable. It is the responsibility of the animal’s owner to always take reasonable precautions in an effort to avoid accidents, such as dog bites or animal attacks. Larger dogs in particular can cause people to suffer serious injuries or even injuries that result in death. The force of a large dog’s bite is three times stronger than a human’s bite, which explains the seriousness of the end results. The National Canine Research Council reports that there are about 1.1 million dog attacks that require medical attention in the United States every year. About 60,000 of these dog bites result in serious injuries that require more intensive treatment. 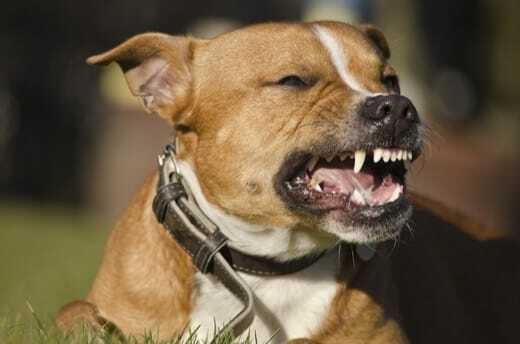 Anywhere from 40 to 60 people die every year from dog attacks. Reports indicate that about half of those animal attack deaths involve children. Less than 1% of dog bite victims are compensated by insurance companies for their damages, but in most cases the victim has a right to pursue damages for their injuries. Who Is Responsible for Animals? Our dog bite lawyer can help with your claim if you’ve bitten by a dog in Phoenix, AZ. physical damages directly on the owner of the animal. The exception for liability would be if the animal attack victim had been provoking the animal, either intentionally or unintentionally prior to the attack. While people are not expected to assume risks when they are around animals, they should always watch for signs of aggressive behavior and be aware of these signs. Dog Bite Attorney, Warnock MacKinlay Law, can help you file a claim if you have been attacked by a dog. The key to staying safe around dogs and other animals is making sure you understand the tell-tale warning signs of aggressive behavior. Here are a few important tips to keep in mind concerning dogs. Nathaniel B. Preston is a Dog Bite Lawyer dedicated to helping animal attack victims get the compensation they deserve for any injuries. Your initial case evaluation with Nate is absolutely free. You don’t have to pay any legal fees unless Nate recovers money for your damages first. If you or your loved one has suffered physical or emotional injuries because of a dog bite in the greater Phoenix area, contact Nate today to schedule your free initial personal injury consultation by filling out the online form or by calling 602-652-2009.